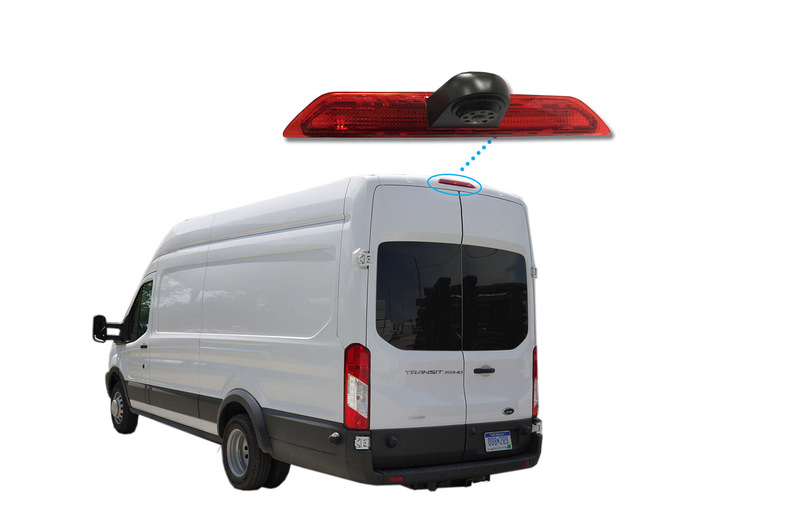 QUEENS, NY--(Marketwired - October 09, 2015) - Rosco, Inc., a leading manufacturer in automotive vision safety products, introduces an integrated brake light camera customized for the Ford Transit Ambulance. In addition to the Ford Transit, Rosco also provides integrated brake light cameras for the Nissan NV, Sprinter, and GM/Chevy work vans. These vehicles are used across many industries including public safety, construction, transit, utility and recreational vehicle markets. Fleet owners can appreciate Rosco's "two in one" design which eliminates the aftermarket look of most third party installed backup cameras. These brake light backup cameras are compatible with most of Rosco's 5" and 7" monitors, as well as Rosco's MOR-Vision mirror/monitor providing more options for all fleets. Safety is a priority for any fleet. An ambulance backing into a hospital driveway with limited vision can create a dangerous situation. The STSC149 Ford Transit brake light camera has a 170° field of vision, and up to 35 feet of night vision for maximum visibility. Backup camera systems prevent injuries and save lives. An efficient rear view camera can also end up saving fleets unnecessary costs by preventing accidents, expensive repairs and insurance claims. Rosco backup camera systems have become a necessity for public safety fleets in order to reduce costs and liability. Rosco is a leader in the rear view camera industry and offers a wide selection of products designed to improve the safety for drivers, passengers and pedestrians. About Rosco Inc. - Rosco, Inc. is North America’s largest bus mirror manufacturer, and a vision safety leader in rearview cameras, automotive windshield based camera recording, rearview interior/exterior mirrors and sun visors in numerous bus, truck, specialty, emergency/public safety, recreational and military vehicle markets. Founded in Manhattan, New York in 1907 as a safety product manufacturer for automotive and aeronautical markets, Rosco moved to its current location in Queens, New York in 1964. Over 100 years later, the company is the largest supplier of mirror and camera systems to the North American bus, truck, military and insurance markets, selling to all major OEMs and parts distributors including Freightliner/Thomas Built, Rosenbauer, Pierce, Osh Kosh, KME, Ferrara, Seagrave, Blue Bird, Navistar/IC Bus, Blue Bird, New Flyer, Prevost, Gilling and other bus manufacturers. STSC149 Integrated Backup Camera with the Ford Transit utility van.